You're rocking the overalls! So cute! Love the necklace too! Those overalls are amazing! You look so cute! If you have a moment, I'd love to hear your thoughts on my latest! I have been afraid to try the overall trend, but I love it on you! Looks so cute with your heels. You look so cute! 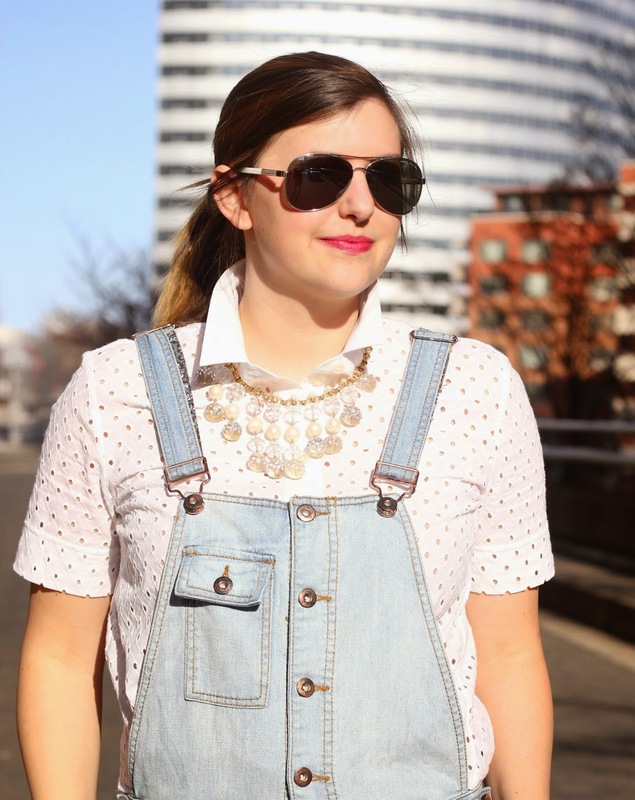 Love the overalls paired with the polka dots. This is the cutest damn outfit, ever! I love that eyelet top! These overalls are adorable! I love how you styled them with the eyelet blouse and necklace – it is the perfect combination of fun and classic!